Constipation can be frustrating and uncomfortable at the same time. This common problem affects millions of people around the world who have bowel movement less frequent than usual (less than three times in a week). While it may be embarrassing to discuss when and how you poop with somebody, it is important to deal with this problem as it can cause complications if left untreated. Let go of the discomfort because a simple juice is all you need. Read on to learn about how to use prune juice for constipation relief. The juice we are talking about is prune juice. This is a better option as compared to OTC medications or prescription drugs. Many studies have proven the efficacy of prune juice in treating constipation. 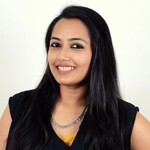 We have compiled a list of its ingredients and how to use prune juice for constipation below. One of the most recommended natural remedies for constipation is prune juice. It contains certain nutrients and compounds that make it an effective laxative aid. Here’s an insight into what prune juice contains that makes it so effective in treating constipation. 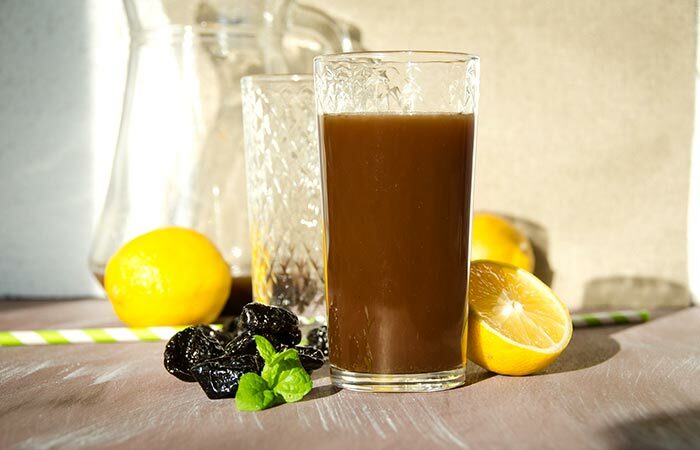 Prune juice has a high sorbitol content, which makes it an effective laxative (1). Other sugars like fructose, glucose, and sucrose are quickly absorbed in the gut, but sorbitol isn’t. By staying in the gut, it opposes the absorption of water from the colon. Therefore, it decreases dehydration of stools and fights constipation. 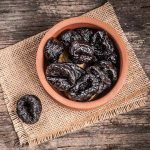 Prunes are also known for their high fiber content (2). Opt for prune juice that includes its pulp to provide the much-needed extra fiber required to cure constipation. This nutrient passes through the digestive tract without being absorbed in the intestines and without breaking down. It helps in drawing water to the stools, making them softer and bulkier. The phenolic compounds present in prune juice act as antioxidants that protect your body against cell aging and oxidative stress. A benefit of using phenolic compounds to treat constipation is that they function as stimulating laxatives (2). This results in the stools moving faster in the colon, thus causing them to be less dehydrated. Quite obviously, there is a lot of actual scientific evidence that shows the efficacy of prune juice as a natural treatment for constipation (3). 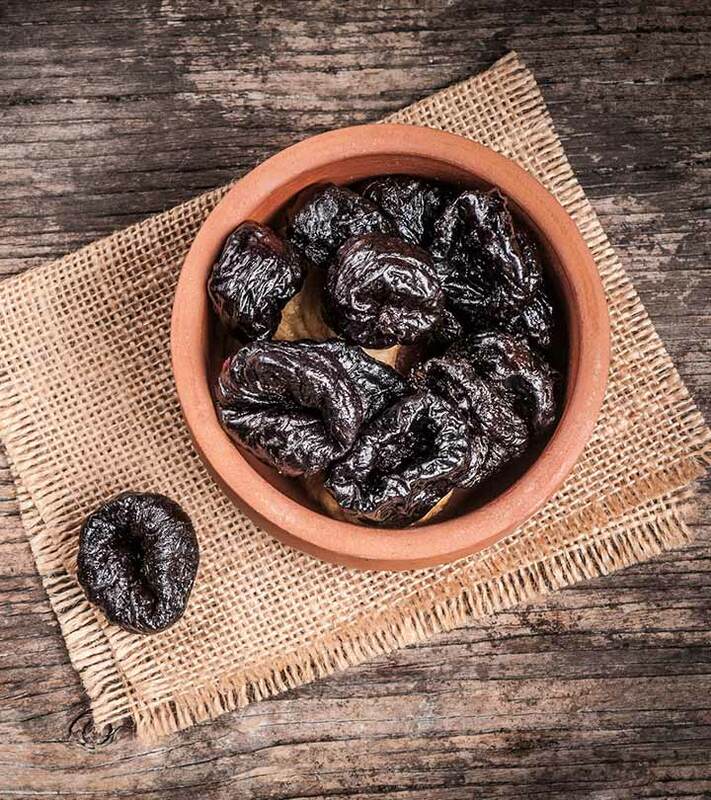 Research has shown that prune juice helps in increasing the fluid volume that remains in stools and, at the same time, causes contractions that stimulate bowel movement. To eliminate constipation, you can use these effective prune juice remedies. Drink this as and when it is convenient for you. Have 3-4 cups of prune juice in a day. The laxative effects of the components of prune juice will start showing results in a day or two. Add the milk of magnesia to the prune juice and microwave this for 30-45 seconds. Drink it while it is warm or once it has cooled down a bit. This remedy should give you relief in 1-3 hours. Milk of magnesia is chemically known as magnesium hydroxide, which is a common ingredient in commercially available antacids and laxatives. It draws fluids into the colon, causing easy movement of the bowels and inducing their evacuation (4). Heat the prune juice on a medium flame for 3-4 minutes. Add the butter and heat for another minute. Let this mixture cool down. Drink it. This remedy will give you instant relief from constipation. Use it as and when required. 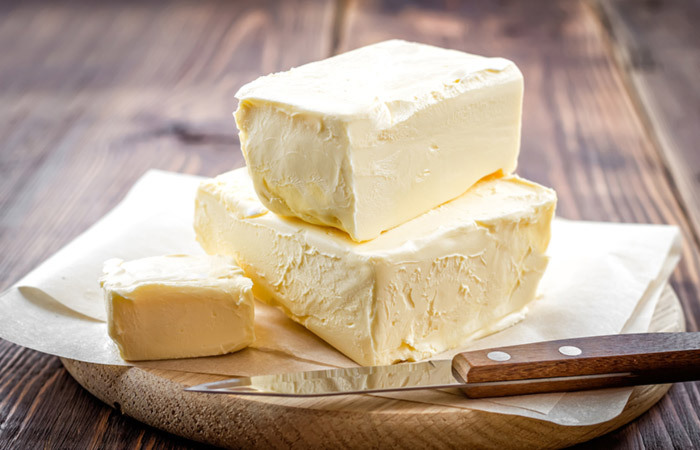 The oils from the butter make the passage of the stools smoother from your intestines (5). Drink all of the prune juice first thing in the morning on an empty stomach. After half an hour, drink a glass of apple juice. Drink another glass of apple juice an hour after the first glass. This helps in cleaning out your bowels properly and making sure that they function as they should. You can drink orange juice if you do not have any apple juice available. Do this in the morning to relieve constipation. This is a very effective remedy for those who suffer from chronic constipation or have not had bowel movement for 2 to 3 days. It kickstarts bowel movement even if you are suffering from a particularly severe case of constipation (6). Mix the oil with the prune juice and drink it. Repeat after a few hours if required. 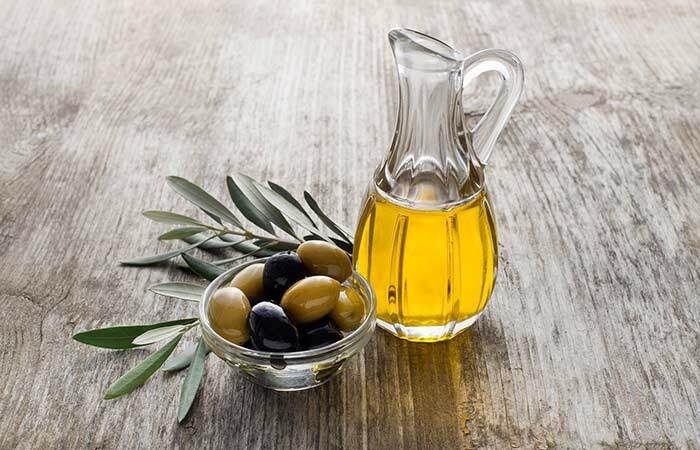 Olive oil promotes healthy digestion and lines the intestinal walls with fats to aid the quick passage of stools (7). Heat the prune juice by microwaving it for 45-60 minutes. 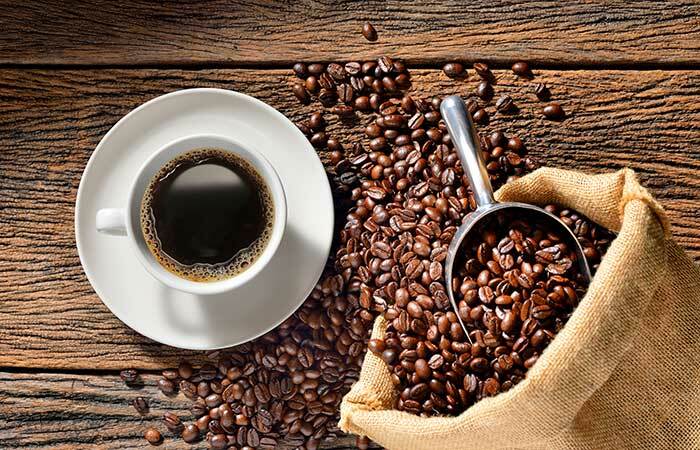 Mix the instant coffee with hot water and add this to the prune juice. Drink it while it is hot. Drinking this once has shown results in hundreds of people. The warmth of this concoction promotes stool movement and helps you defecate easily (8). Mix the two and drink this mixture in the morning on an empty stomach. Repeat this every morning until your bowel movement becomes regular. The combination of oat milk and prune juice is recommended for treating constipation. This mixture facilitates easy movement of the stools (9). 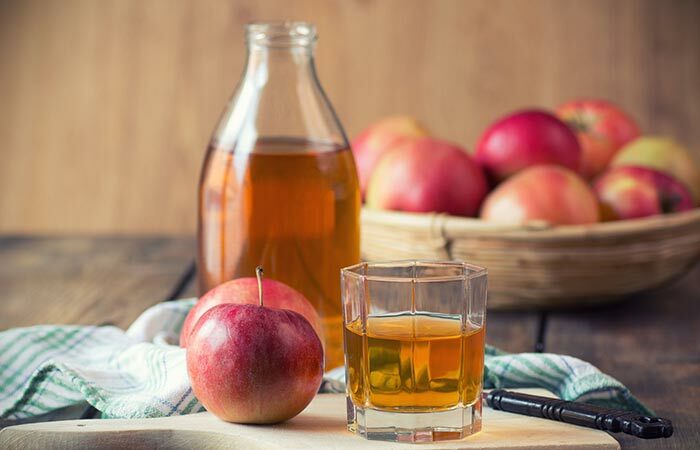 When using these remedies, keep in mind that the amount of prune juice that needs to be consumed to obtain relief from constipation varies from person to person as not everyone responds to dietary changes in the same fashion. You may need to experiment with this juice until you find the optimum quantity that helps you find relief from constipation. If the need is urgent, opt for remedies that work instantly. Here are some common questions about using prune juice for constipation answered for you. How long does it take for prune juice to make you poop? As we stated above, the response of your digestive system to prune juice may not be the same as seen in other people. In most cases, results are seen on the first day itself. How much prune juice should be consumed for it to work for constipation? Apart from drinking prune juice, you also need to adopt other healthy habits, including drinking at least two quarts of water and other fluids every day. This is important because dehydration, as you know, is one of the most common causes of this problem. Making lifestyle changes, like getting regular exercise and eating a healthy balanced diet with plenty of whole grains, fruits, and vegetables, is another great way to make sure that you keep your bowels in good working condition and get relief from constipation. Now that you know how to use prune juice for constipation, what are you waiting for? Although prune juice is not the most delicious juice, you cannot ignore it if you suffer from constipation. If you do not want to take OTC or prescribed medications and laxatives, this is your best option. This excellent juice will ensure that your bowel movements become regular, easy, and pain-free. Did you find this information useful? Please leave your comments in the box below. Is Orange Juice Good For Constipation?